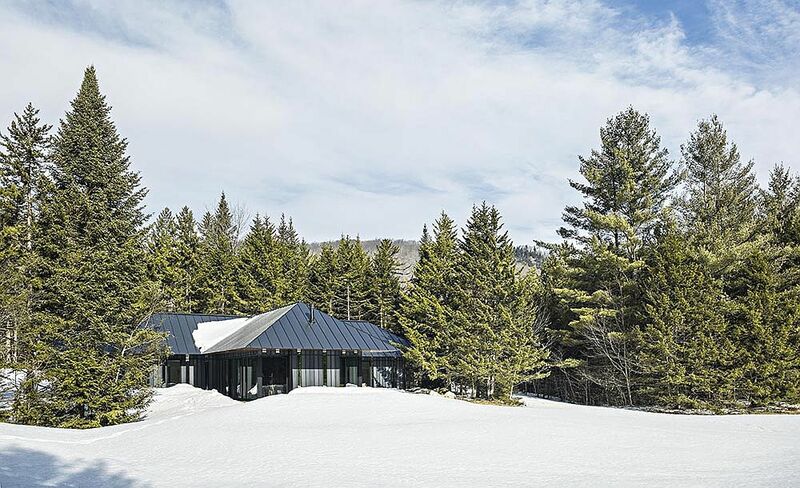 That weekend to Vermont is a trip that every New Yorker looks forward to. 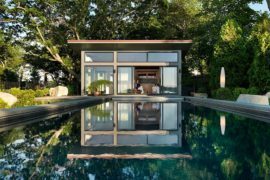 For many, it is their first beautiful trip that cements a lifelong relationship and for others it is a getaway that takes them away from the hustle and bustle of big city. 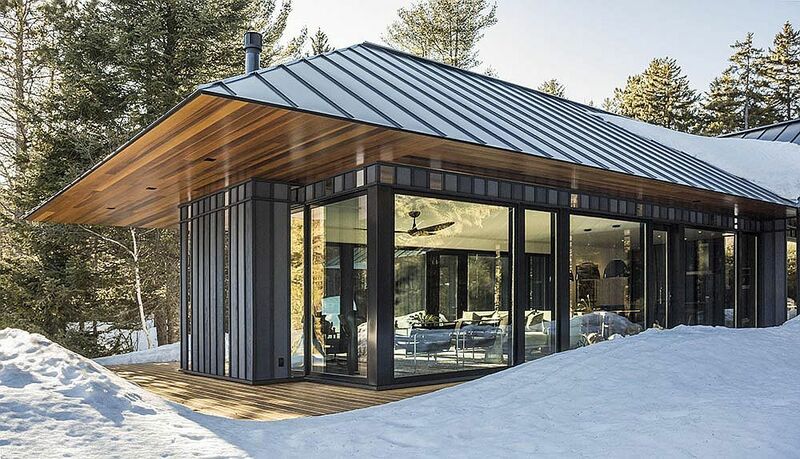 With a distinctive exterior and a lovely landscape all around it the Board + Batten is a cozy retreat in Plymouth Notch that epitomizes this picture-perfect image of a dream vacation in Vermont. 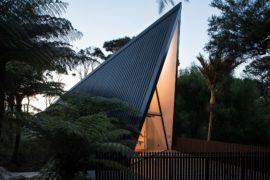 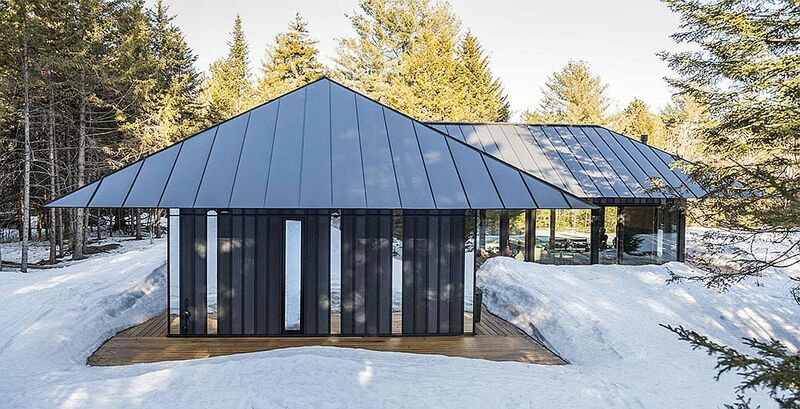 This private guest house with its striking T-shaped layout, black metal roof and board and batten exterior combines vernacular design with elegant modern aesthetics. 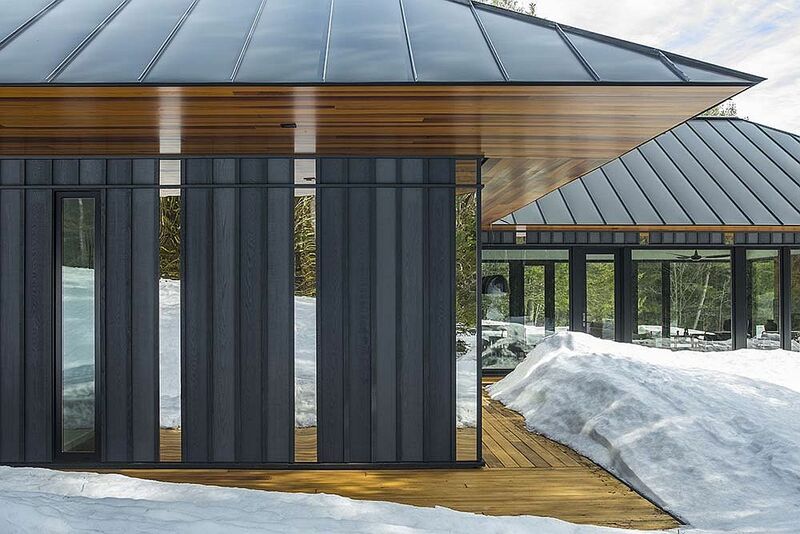 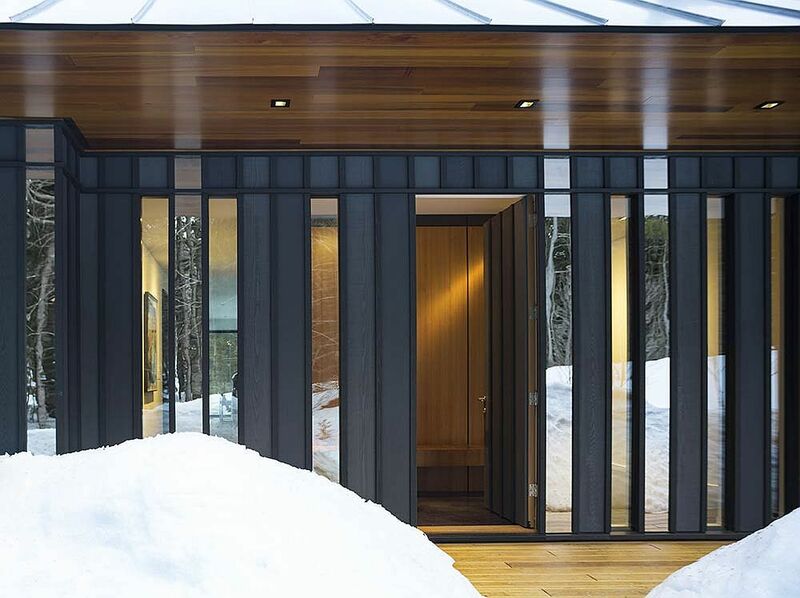 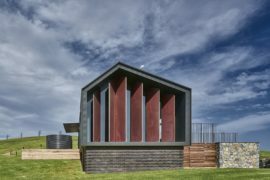 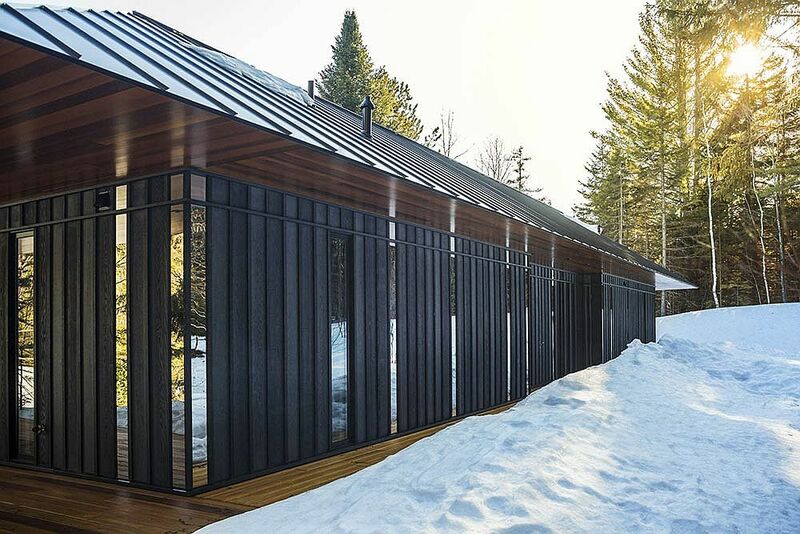 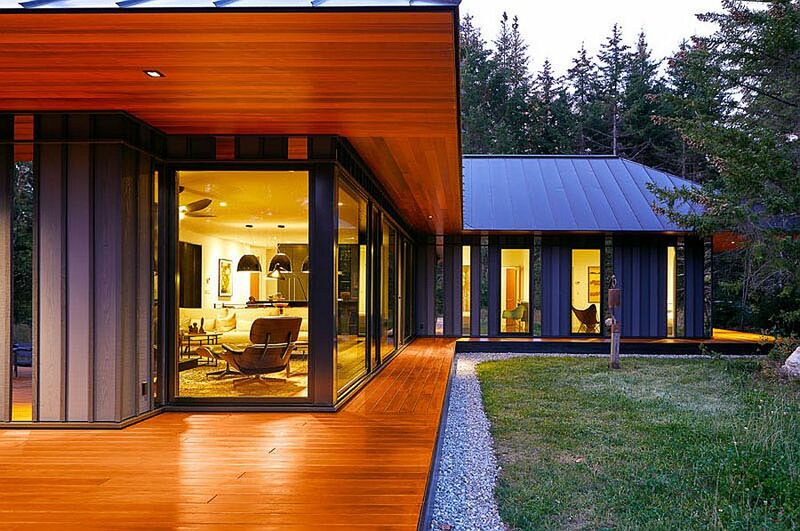 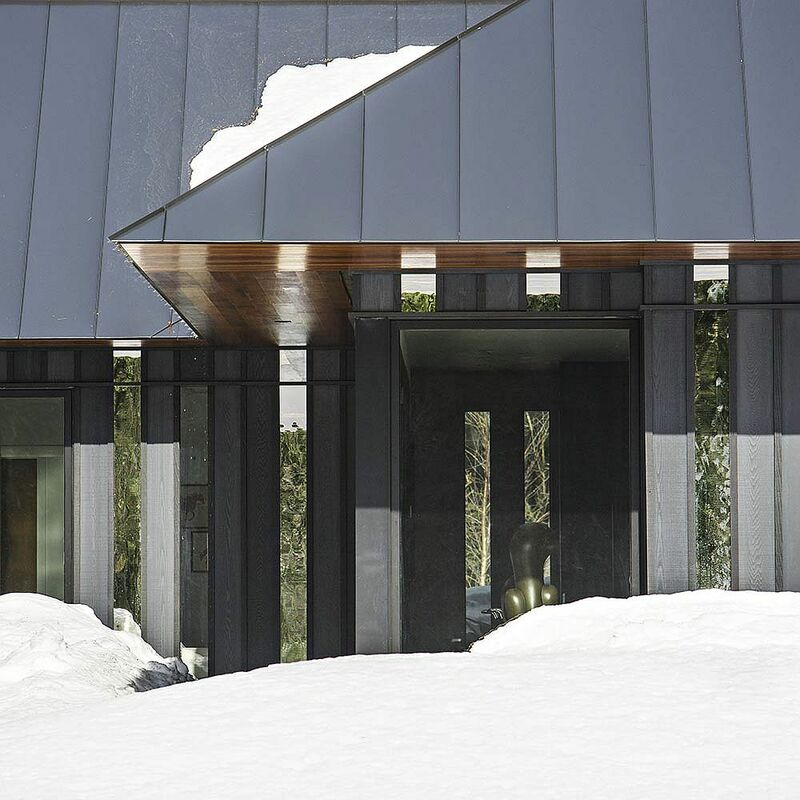 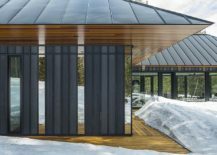 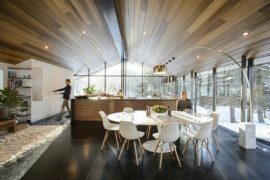 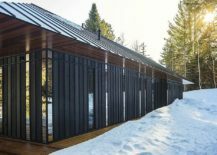 Birdseye Design decided to give the guest house an identity of its own with wooden siding, mirrored panels, floor-to-ceiling galls windows and metallic plates that fit into the board and batten pattern. 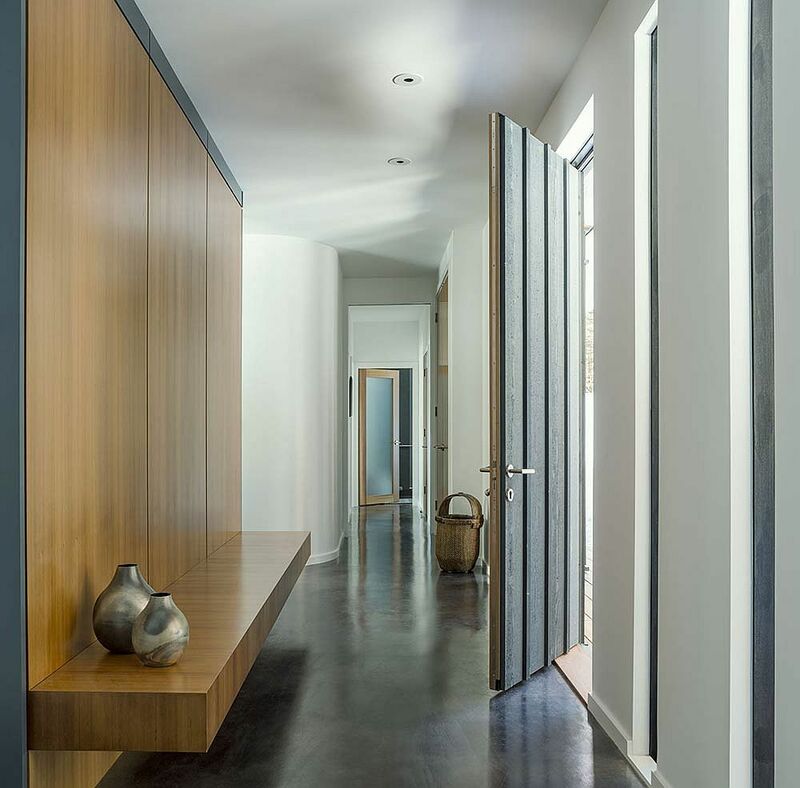 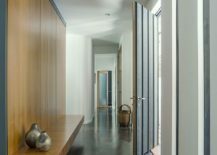 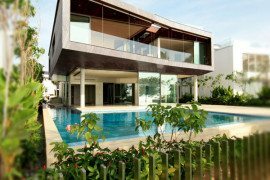 The placement of each element adds to the overall aura of the house even as the private entry leads to an open plan interior that holds the kitchen and dining. 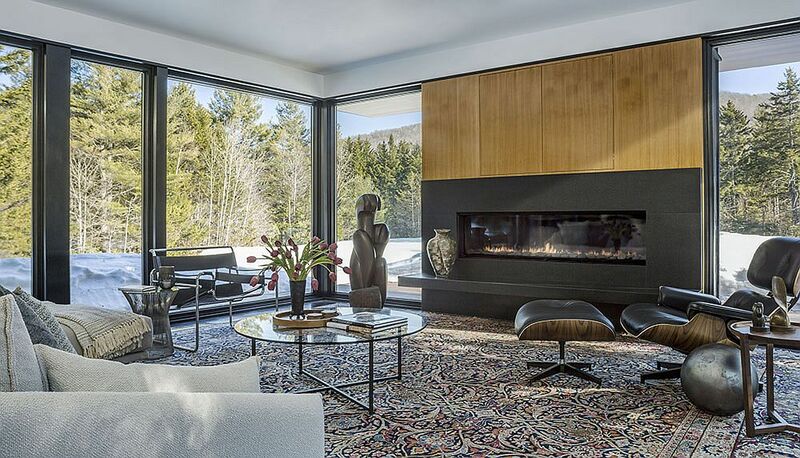 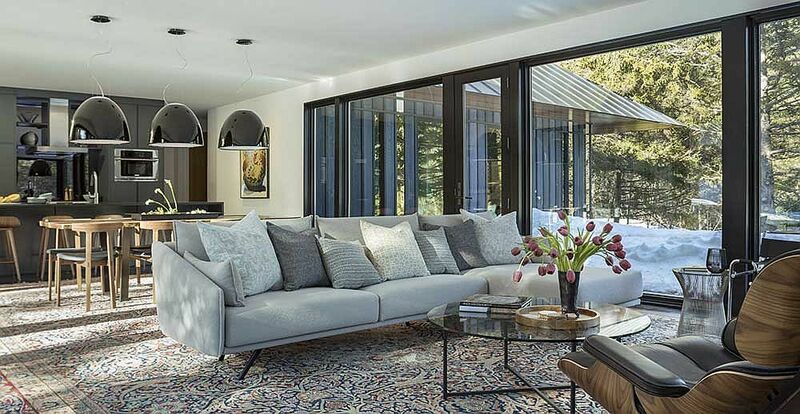 A large fireplace becomes the focal point of the living area where the decorating style is distinctly minimal. 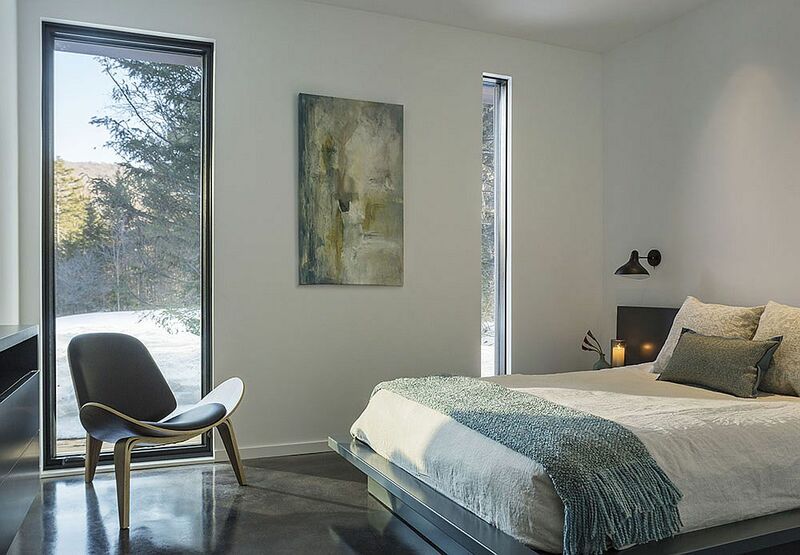 Brooke Michelsen Design adopted an interior design that relied on simplicity, clean, refined finishes and a touch of textural contrast. 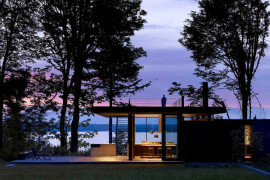 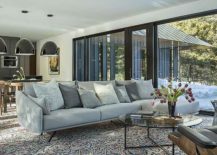 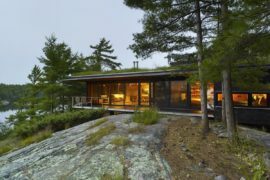 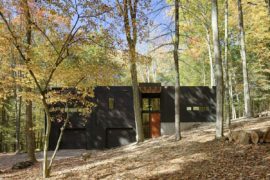 The bedrooms are cleverly concealed from public view while the living area offers unabated views of the meadow and the forest beyond. 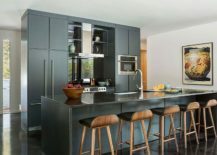 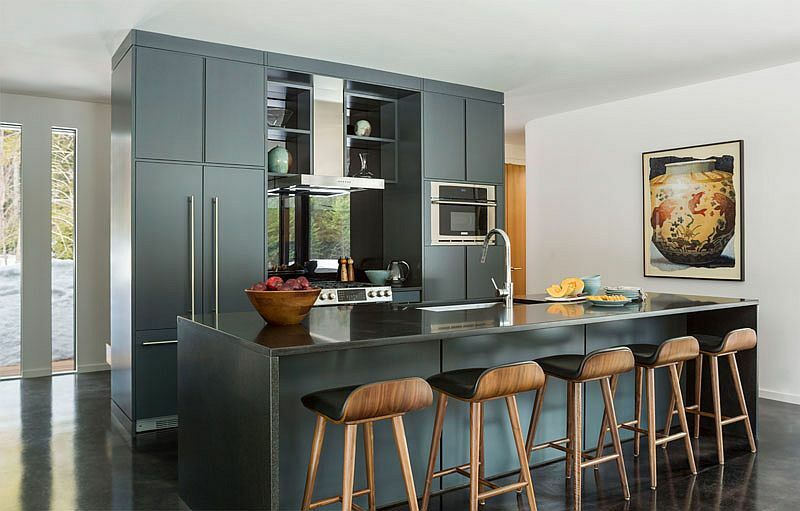 A contemporary kitchen in gray and large, oversized pendants in black above the dining space put the final glam touches on an escape that seems even more magical as white winter and the Holidays come along.